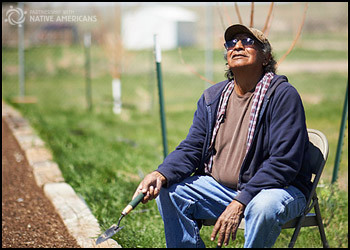 For more than 25 years, our organization has developed and delivered a relevant mix of services to help our Native American partners address critical needs that contribute to self-sufficiency and help end the cycle of poverty. Evolving from a small startup to a high-impact nonprofit with a clear mission, a dedicated team and committed donors who support our work, PWNA has established a steady, solid history of service with Native Americans. Originally starting in Virginia, our established donor office is still in operation today. Enhancing our Northern Plains reservation aid, our programming operation was moved to Rapid City, SD. Transitioning away from serving individuals and toward serving community-based programs on reservations (i.e., our reservation Program Partners) exponentially increased our reach into the communities and the number of lives we could touch. Expanding to provide Southwest reservation aid, our second program office opened in Phoenix, AZ. Our two program offices with 40,000 sf distribution centers are centrally located, enabling cost-effective logistics and distribution to 60 remote reservations most organizations cannot reach. Beginning educational support services helped respond to low American Indian education funding and other challenges faced by Native students. Establishing programming that included relevant gift-in-kind (GIK) products, due to our first large GIK donation from Matthew 25: Ministries began to distinguish us from other charities. Prior to this, all products were being purchased at retail prices. The enhanced focus on GIK increased inventory and took us from shopping carts and pickup trucks to warehouse equipment, large box trucks, and semis that deliver distributions to the reservations 52 weeks a year. Establishing a Program Logic Model based on generally accepted theories of social change and tied to long-term outcomes enabled measuring progress toward our vision. Tracking established guidelines and measurable indicators also helped us fine-tune each service offered. By 2005, we were supporting the important work of 500 reservation partners, through more than $500,000 worth of GIK products and 500,000 individual donors who were concerned about living conditions in Indian country. Launching a reservation animal rescue program to support animal welfare groups on the reservations helped address the enormous challenge of stray animals and overpopulation, improve quality of life for the animals and help our partners manage community health risks. Implementing an annual partner survey to evaluate our impact on the effectiveness of social programs in remote, isolated and impoverished tribal communities helped us better support our 1,000 reservation partnerships. Today, operating as Partnership With Native Americans, providing more than $30 million annually in aid and services, and collaborating with more than 1,000 reservation programs, a quarter of a million Native Americans benefit from our services. Our strength lies in remaining focused on effective programming and partnerships, and being a consistent resource to Indian country. Becoming more familiar with the service structure on the reservations helped us learn about existing programs we could enhance and the importance of supporting local determination. Learning about the service structure helped us identify the service gaps and work with partners on new ways to help fill them. Together, we created new services ranging from gardening to infant care to preventative healthcare — all based on our products and capabilities and the services being requested by the partners. Adding more GIK, services and reservation partners required enhancing our process to handle partner requests and manage the increased volume of requests. Adding Program Partner reporting based on increased deliveries helped ensure accountability for the goods going out and established PWNA gives a helping hand, not a handout. Our Partners must be actively involved in planning, organizing and recruiting volunteers for their distributions and program activities supported by PWNA. Hiring specialized semi drivers, warehouse staff, outreach and support specialists, and program managers helped us maintain a high quality of service to our Native American reservation partners. Today, partnerships with Native Americans remain at the heart of our work and our shared impact on the 60 reservations PWNA serves.